Hermie & Friends DVD – I Will Trust God + Coloring & Handwriting Printable Packet! We love Hermie & Friends DVDs in our house! I was very excited to see that I Will Trust God… No Matter What was one of the resources available from Tommy Nelson this month as part of the Tommy Nelson Mommy program. We love getting our Tommy Nelson Package each month; it is like Christmas each time it comes. 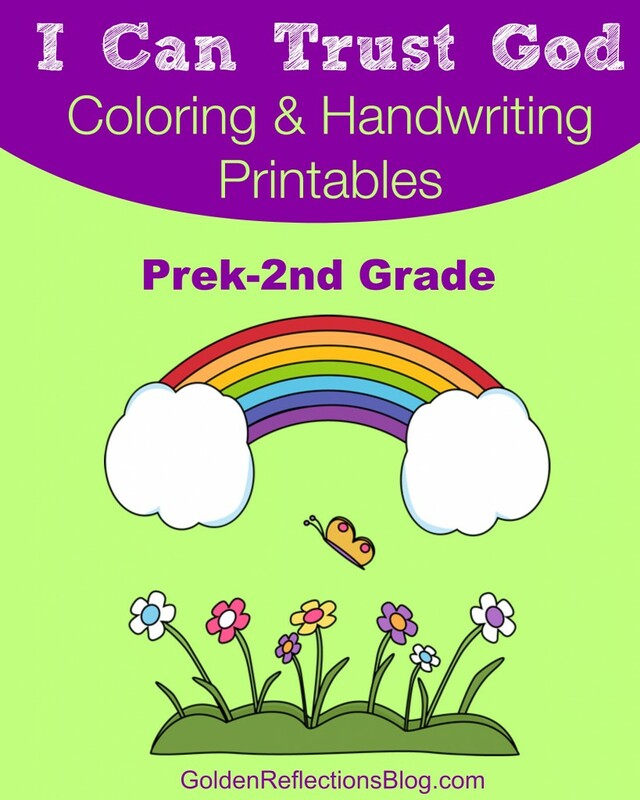 I also have a free coloring and handwriting printable packet at the end of this post. 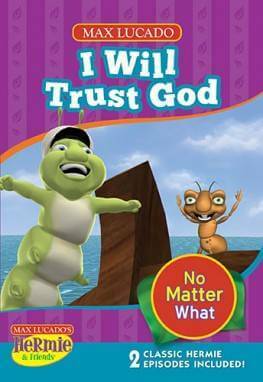 In I Will Trust God… No Matter What, Hermie and his friends learn to trust God no matter what happens. In the first episode (Hermie & The High Seas), God asks Hermie to build a boat. He doesn't tell him why and Hermie has a hard time understanding why but decides to do what God asks of him. Hermie has a hard time convincing the other bugs to help because they are busy and don't understand why Hermie wants to build a boat. They don't understand why the garden needs to have a boat! But in the end, they all learn to trust God no matter what happens and are very thankful that Hermie followed God's commands. In the 2nd episode (Who Is In Charge Anyway? ), Freddie the flea thinks he is not anything special. But he quickly learns from the other bugs and Hermie that God made everyone special with their own, unique talents. Even though Freddie doesn't understand what is special about him, he learns to trust God's plan for his life and that God is in control. My daughter and I loved watching this DVD! Learning to trust God is an important lesson I want her to learn and these two stories help to show her that trusting God in every part of our lives is so important! There are some catchy songs throughout that your kids can easily pick up on as well! As with all Hermie & Friends DVDs, I love that Max Lucado starts off the DVD with a little message to the kids before their watch. I know your kids will love watching Hermie & Friends as much as we do! I love knowing that it is a great family program that the entire family can watch. I don't have to worry about what lessons they are teaching to my daughter, all of them are great life lessons for them as Christian kids! Since the theme of this DVD is trusting God and the first episode is the Hermie & Friends rendition of the flood in the Bible, I decided to make a fun coloring and handwriting printable packet to go along with the DVD for you today! Simply click on the graphic below to grab your copy. It is completely free. If you wish to share this packet with others, please direct them to this post, or to my FREE PRINTABLES page here on the blog. Disclosure: I received a free copy of this DVD in exchange for writing this review and giveaway as part of the Tommy Nelson Mommy program. I did not receive any other monetary compensation for this post. Affiliate links are included in this post if you choose to make a purchase I receive a small commission at no extra cost to you as the reader! Thank you for helping to support this blog which allows me to provide these reviews, giveaways, and printables for you as the reader.